What you are looking at here is a cluster called Abell 2261. I think this picture is incredible. Let me tell you why. What is so amazing about this picture (taken by NASA Hubble Space telescope) is not the fact that you are looking at hundreds if not thousands of galaxies swarming about (nobigdeal). BUT in fact you are looking at the huge bright one taking center attention. So the story behind this one is astronomers believe this unusually large galaxy has two black holes which is crazy to think about. Take a look at our beautiful Milky Way for example. We are about 100-120 thousand light years across in size. That’s pretty huge considering it would take you that much time to travel at the speed of light from one point to the other. 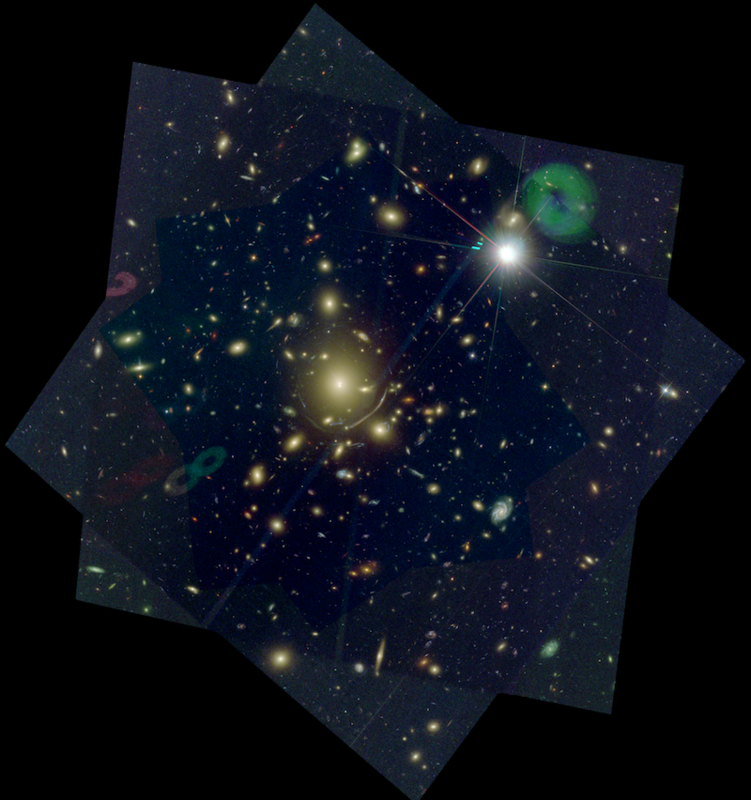 Now we have some perspective we can look at that monster lurking in Abell 2261. It has been said the distance of that galaxy is one million light years across. That is just crazy! Well don’t worry about ever getting there because it’ll take you three billion years just to find that behemoth.